March Madness has gotten off to a ridiculous start, with top seeds dropping like flies all weekend long on buzzer beaters and thrilling upsets. The highlights are impressive by themselves, but there is a Twitter account currently going viral that takes them to a whole new level. The account @TitanicHoops relives these upsets and buzzer beaters with Celine Dion’s My Heart Will Go On featured over the top, and it’s absolutely perfect. All of the moments from this year’s tournament have been featured, including Michigan’s game-winning three to beat Houston, UMBC’s upset over Virginia, Nevada knocking off Cincinnati, etc. MICHIGAN ADVANCES TO THE SWEET 16 ON A WALK OFF!!!! JORDAN POOLE’S WALK OFF 3? IS EVEN BETTER WITH TITANIC MUSIC!!! WHAT A MOMENT FOR @UMICHBBALL!!!! Most importantly, however, the account also highlighted some of the top game-winners in the John Calipari era at Kentucky. Brandon Knight’s game winning jumper was even better with Titanic music! Fast forward a few years to one of the most magical runs we’ve seen in recent memory in 2014. 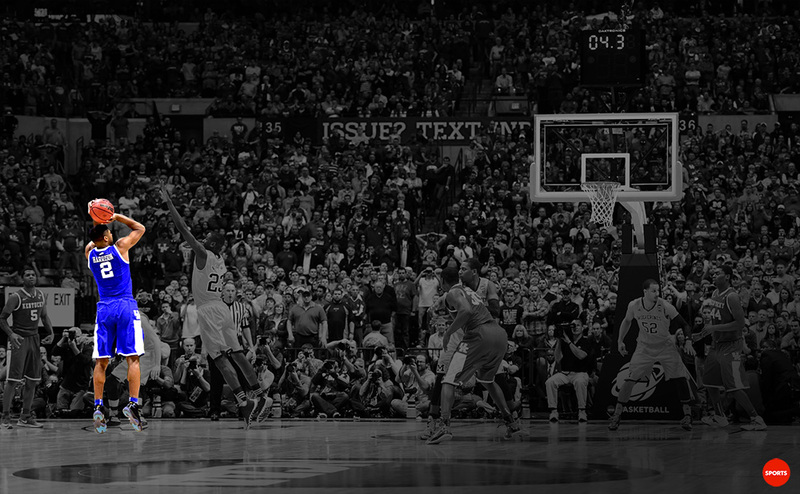 Aaron Harrison with his first of several (tease) CLUTCH tourney shots! This 3 buried Louisville! Another CLUTCH shot from Aaron Harrison gets Kentucky into the final four!!! Aaron Harrison BEYOND BELIEF!!! He beats Wisconsin to send #8 Kentucky to the final!